Come to the gallery for this special one night only event. wall space gallery is pleased to present Santa Barbara creative artist Lindsey Ross. Lindsey specializes in alternative processes, and we are thrilled she will be creating a special Tintype Studio in our space. Called Ambrotypes, these authentic, wet collodion process tintypes will be crafted in the gallery. Each image is a completely hand-made, one-of-a-kind art object – your image, rendered in pure silver, on an aluminum plate. Please join us for an evening of creativity, either by having a portrait done, or watching this process unfold, or discussing the unique nature of this beautiful, one of a kind imagery. Only 10 spaces are available if you wish to have a portrait done. It is a labor intensive process, taking 30 minutes per sitting. The event is open to the public, and we hope you will stop in to watch as these prints rise from the ether. contact the gallery by phone at 805.637.3898 or email us to reserve your space on the evening of the 23rd. Conceptual, fine art photographer, Lindsey Ross (b. 1981) has early memories of making photographs, which include enlarging poster-sized images in the basement darkroom with her father. She has been most influenced by photographers such as Marcia Resnick and Francesca Woodman. After earning a BA Religion at Denison University, Ross moved to the West. Her independence, sense of adventure and curiosity compelled her to work on a self-sustained cattle ranch in the Chilcotin of British Columbia. She lived in Wyoming for five years working as a photojournalist, assisting photographers and working in restaurants while avidly backcountry skiing. In 2008 Ross moved to California to pursue an MFA Photography at Brooks Institute. She became interested in wet plate collodion process when she viewed a collection of early 20th century prisoner mug shots. 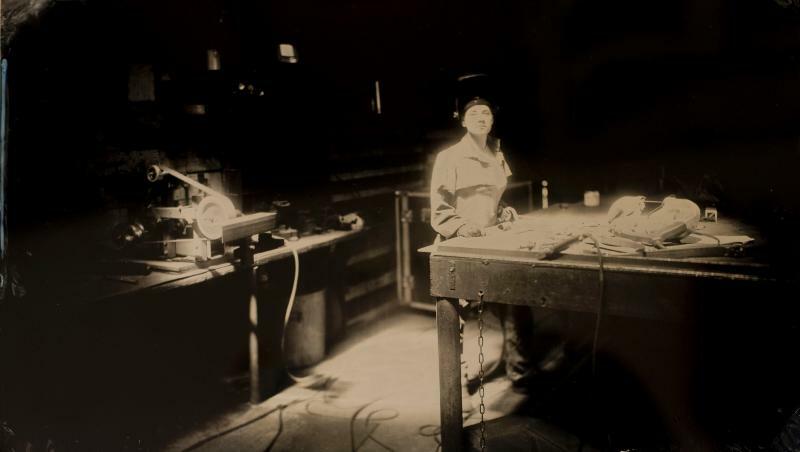 Ross began to assist and learn from her now mentor, collodion artist Luther Gerlach. Wet plate collodion process has become the ideal format for Ross, who seeks autonomy and at the same time a sense of connection. Ross finds freedom in taking the raw materials transforming those into photographs. The slow pace of collodion requires a presence and intimacy that connects her to both the physical and spiritual world. Ross lives in the Funk Zone of Santa Barbara, CA where she runs her boutique collodion studio, La Chambre Photographique.